We will always keep you informed. Here, you have the opportunity to read our current press releases and learn more about new products, interesting services and other current events. Press releases from previous years are also available to you in our press archive. Strengthening the competence of logistics and lighting: a second dispatch centre is established in Lehrte near Hanover and Häfele expands its competence in the field of lighting by acquiring the lighting specialist Nimbus. 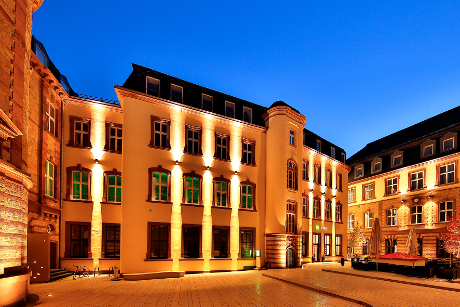 With the acquisition of Nimbus, Häfele completes its competence field light. ALLYN, the smart hotel of the future, was the focal point of the Häfele presence at the BAU trade fair in Munich. Rooms of all kinds in private and commercial areas are manually or semi-automatically increased or reduced in size in accordance with requirements using the Slido Wall partition wall system from Häfele. The specialist for hardware technology and electronic access control systems is now extending its services for hoteliers with new brand partners and a comprehensive range of services and maintenance for interior doors – an all-round care-free package. The Häfele Easy Storage storage space system emerged against the background of simplicity as an integrated principle. The Officys table base system from Häfele invites you to work in an ergonomically perfect way, sitting and standing. With the mechanical frame cramp set, Häfele is offering a solution which uses no environmentally harmful materials whatsoever. Häfele partners find 4500 architectural hardware and project fittings on almost 900 catalogue pages in an enormous product range consisting of ten product groups for their target group. Häfele is thinking ahead on the subject of access management and room control with its innovative, networkable Dialock identification and access control system. In the Vehlener Feldmark in Lower Saxony three formerly independent clinics merged to form the Agaplesion Ev. Klinikum Schaumburg. After a long break, Häfele again sends two buses to travel to its partners in Germany. On board of the mobile training centre, this time it's all about lighting in furniture and the globally successful Loox lighting system by the fitting specialist. Nagold-based Häfele, the international specialist for hardware technology and electronic access control systems, is opening a second German distribution centre in Lehrte, near Hanover. The cooperation between the German Youth Hostel Association (DJH) and Häfele has “tradition”. World-class football and world-class hardware technology in the same boat – Häfele and Bayern Munich have signed a partnership agreement in five Asian countries. A win-win for both companies and their fans. Häfele impressed the specialist visitors at Holz-Handwerk in Nuremberg with new products, realistic live presentations and the trend topics of Micro-Living and Smart-Home. The Häfele bathroom mirror enchants! Users in their own four walls as well as the guests in the hotel and the readers of the renowned industry magazine, Top Hotel. Micro Living or “More life per square metre”: aVOID Tiny House, a mobile miniature house, is about to tour Europe. The international Nagold-based Häfele Group for hardware technology and electronic access control systems ended 2017 with a satisfyingly positive revenue result. Häfele, the traditional top dog at the Holz-Handwerk in Nuremberg, is putting the emphasis on partnership at its appearance on booth 318 in hall 10.1, making it possible to experience the future with Smart Home and Micro Living.
. The highlights of this product range will be on show on trade fair booth 4E51 in hall 4 at the Intergastra from 3rd to 7th February in Stuttgart under the motto “One Room, one Face – one Style”. Light, sound and Smart Home have become a best seller in the furniture business. The Loox LED lighting system from Häfele and its comprehensive range of sound and entertainment components have brought these worlds together. The SICAM in Pordenone is traditionally one of the most important international performance shows for Häfele. With a successful appearance at the interzum in Cologne, Häfele convinced the specialist world and received an incredibly positive response to the forward-looking topics and new products that were exhibited. Häfele is fulfilling the considerable demand from industry for 3 mm shelf supports with this product, which well-known brand manufacturers are successfully using in their furniture. Häfele thinks ahead, stays true to its motto “More life per square metre and will bring the entire furniture technology experience to life and present new products, innovative and smart ideas for the digital networking of furniture and rooms focused. The international Häfele Group for hardware technology and electronic access control systems continues on its growth path. The “MicroApart 20/30” model in combination with Häfeles 360° project solutions provided the industry with ample food for thought on how to create smart, multi-functional living concepts for tiny spaces. With its new Free flap H 1.5 Häfele has taken the trending popularity of flap fittings for kitchen wall units to another level entirely. Internet, catalogue, or would you rather speak to the specialist advisor personally? Häfele customers can freely select where and how they would like to obtain information about the product or place their order. Detlef Scheele from the Federal Employment Agency is acknowledging hardware and fitting systems Häfele during a visit today – a shining example in Germany with 12 training places for refugees. Following the “Functionality Cube”, the multi-functional interior concept and the award-winning "Youth Lab” trend project, Häfele introduced the “Micro Living Apartment” room model at BAU 2017. Häfele is online on the Internet with its new presence. The Häfele brand world is now available in a new digital dimension at www.haefele.de, highly effective, extremely simple, self-explanatory and with many benefits. With Moovit, Häfele has been providing an innovative drawer side system for a wide range of applications for many years now, one that has become an all-rounder worldwide. The Flap Competence Center (FCC) in the Hungarian capital of Budapest is celebrating the 25th anniversary of its development and production facility this year. This time, the SICAM in Pordenone is yet again the major international performance show before the interzum in Cologne. Focus on storage space: The new "Planning storage space" brochure in the Häfele marketing package for customer advice. Light and sound in furniture from a single source. The third generation of the Loox LED lighting system from Häfele and its sound and entertainment components allow light and sound to blend with each other. Top functionality, contemporary design and modern materials – the new Officys table base system from Häfele has all of this and much more. The Schnepf energy technology planning group realised a state-of-the-art ice storage system with heating and cooling supply from 100 % regenerative energy sources. Made-to-measure floor-to-ceiling cabinets with sliding doors at both sides can be created using the Silent Aluflex 80 aluminium frame range. Häfele, with its headquarters in Nagold in the Black Forest, will consolidate its production and development activities with regard to the high-growth sliding door fittings market into two sites in Germany and Hungary. Häfele is providing the furniture industry and joiners/cabinet makers with a comprehensive range of sliding doors made from wood, glass, or with an aluminium frame and an almost unlimited range of design options with the Slido sliding door fittings. Cabinet makers and joiners filled the booth from the first day to the last, keeping the Häfele exhibition team fully occupied. 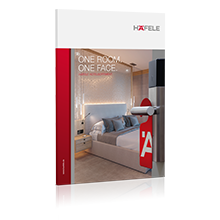 Häfele offers contactless and convenient opening via a smartphone to hoteliers and their guests with the Dialock electronic access control system. With the new “Functional kitchen equipment 2016” catalogue, Häfele has made a new comprehensive sales manual available to kitchen dealers and kitchen studios. The Häfele group achieved revenue of 1.272 billion Euros in 2015. This meant the family business based in the Swabian town of Nagold has continued on a path of remarkable growth. 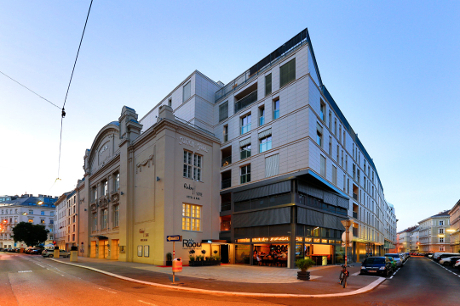 At the Ruby Sofie boutique hotel in Vienna, Dialock, the well-tried identification and access control system from Häfele, is being used for a reliable and quick self check-in. Hotels have to be adapted to different requirements: to lone travellers, families, groups, tourists and business people. Working, conferring, relaxing – everything should be possible. But how do operators solve this conundrum? In combination with a package for sales support, it equips the kitchen trade with trendy entertainment solutions. Unused storage space behind the plinth panel doesn't need to be the case. Häfele has now had a clever idea for making extremely meaningful use of spare room at floor level. With the new Slido Design 80-M sliding door fitting from Häfele the door floats easily in front of the wall, even though it weighs 80 kilos. The Turn Fastener shelf connector is the new connector highlight from Häfele. It is installed in an instant without tools and is another step towards the turbo-fast, simple furniture installation that we are all aspiring for. The innovative Free flap fittings from Häfele have won numerous prestigious design awards in Germany and the USA within a short period of time. The Häfele trade fair booth at interzum impressed thousands of specialist visitors. The impressive display of its service portfolio demonstrated Häfele’s comprehensive know-how in a convincing manner. Gregor Riekena has been the Marketing Manager at Häfele since 2011 and will be taking up his position as Chief Marketing Officer on July 1. Häfele is presenting clever ideas under the aspect of “More life per square metre” at this year’s interzum on more than 1,400 square metres. 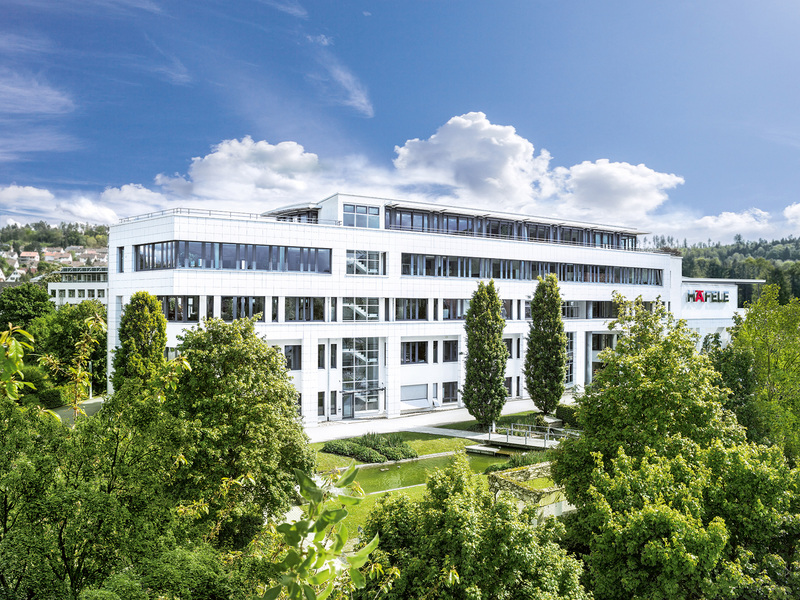 The Häfele Group continued to expand in 2014 with growth of 7 % in comparison to the previous year. The new shelf support from Häfele for 3 mm series-drilled holes is visually impressive with its slim design. 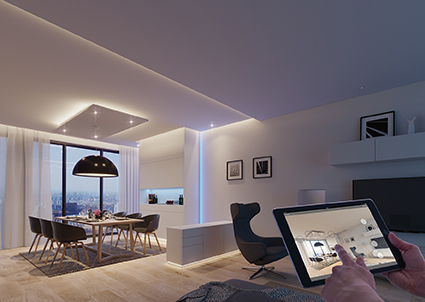 The innovative Loox LED lighting system from Häfele can easily be installed by anyone thanks to plug-n-play. Häfele is highlighting its 360° project solutions at Bau 2015 in Munich, and is introducing the new generation of the Dialock electronic access control system. The completely re-developed Free hardware family from Häfele covers all of the most popular types of opening for flaps on wall units. The Sound-Edition from Häfele allows cabinet makers and joiners to build customized furniture for his music-loving clientèle. The Häfele dispatch centre in Nagold is celebrating its 40th birthday. This state-of-the-art and efficient logistics centre is one of the most important mainstays of Häfele’s success. Häfele supports digital furniture planning using different planning and configuration tools. Häfele impresses with its product range width, service, and logistics and has established itself as the number 2 in the German kitchen trade. For many people, the kitchen is the heart of the home. The demands that are being made of design, operating convenience and functionality have increased accordingly over the last few years. You will find a solution for all of your requirements at Häfele. Häfele is providing another practical selection aid for the Loox lighting system with the new Loox Quickselect fan. With the new dovetail connector from Häfele, the trend for “small buttons, maximum function” is fulfilled in the design of equipment items, installations and furniture. Thanks to the clever storage space solution from Häfele, up to 50 pairs of shoes can be stored. Each pair can be easily accessed because of the rotating cabinet extension. Häfele experienced a rush of visitors at Holz-Handwerk 2014. Innovative ideas about cabinets and storage space and the new interface to the biggest suppliers of CAD joiner software were the highlights. The hardware specialist grew by four percent worldwide and secured its position as a company with sales of more than 1 billion. Häfele won multiple awards at Intergastra 2014 and presented new products for the currently trending topic of “furniture sound”. More space and organisation in the cabinet – Häfele presented clever cabinet and storage space concepts at the Holz-Handwerk exhibition in Nuremberg. Experience functionality and convenience in furniture and construction in the new 500 square metre showroom in Munich. At imm 2014, Häfele presented six items of “Master Furniture” which have the exclusive charm of custom-made creativity and quality. Häfele takes over sliding fittings specialist Weco, Weber & Co. GmbH KG (Weco) in Velbert. Markenprodukte und innovative Ideen für Komfort-Möbel standen im Mittelpunkt des Messeauftritts bei der Interzum 2011. Häfele begeisterte mit „Functionality for You“ und zog so viele Fachbesucher aus aller Welt auf seinen Messestand, wie nie zuvor. The highlights on the booth were the new sliding door fittings for wood and glass under the new Häfele own brand, Slido, the electric sectional sliding door fitting, the self-supporting pull-out table and the functional solutions for installations.